Stevens SWCD now has a Facebook page! Check us out at https://www.facebook.com/stevensswcd Happening today: Stevens SWCD is hosting school presentations teaching 2nd graders in Stevens County about forest animals. The kids are getting the opportunity to meet a salamander, red tailed hawk, bull snake, and porcupine! The mission of the Stevens Soil & Water Conservation District is to work with county landowners in putting conservation practices on the land and to help all citizens be good stewards of our natural resources. 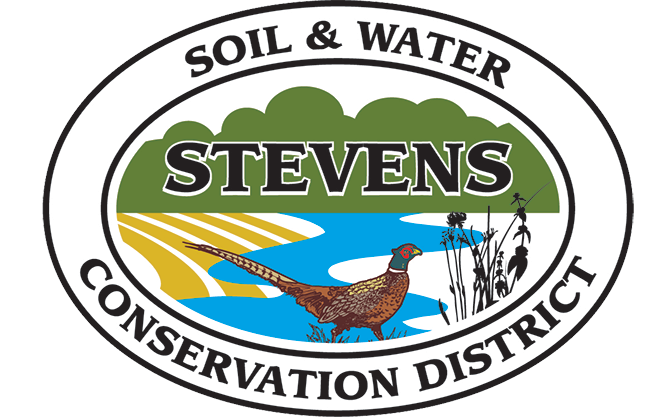 Website, pictures, and content © 2018 Stevens Soil & Water Conservation District. All Rights Reserved.